We work in partnership with a range of commercial organisations delivering mutually beneficial aims and objectives. A partnership with the BHWT can help us to raise vital funds and awareness, and can help our corporate partners reach a completely new audience. Ways of working together could include 'charity of the year', on-pack fundraising, corporate sponsorship, providing gifts in kind, advertising in our magazine and employee fundraising. We only work with companies and brands which fully support high welfare for laying hens. "Congratulations to our friends at the BHWT for 10 wonderful years of improving the lives of girls across the country! Here's to another glorious 10!" "We didn't think anyone could love chickens more than us until we met Jane and the team at the British Hen Welfare Trust... "
"We are proud to have such a long association with the British Hen Welfare Trust and pleased to be feeding the nation's ex-bats. Good luck for the future." 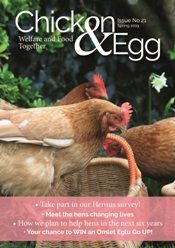 "We'd like to wish all our friends at the British Hen Welfare Trust a very happy tenth birthday - we're so proud to partner with such a dedicated and inspiring team." "Congratulations BHWT; Dengie are proud to be associated with you and wish you every success for the next 10 years!" "Unipet continues to be proud supporters of the BHWT and hopes that you are able to continue this fantastic work for many years to come." "Congratulations! 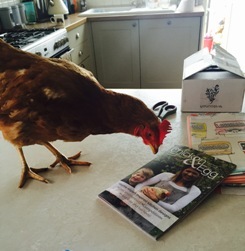 What an achievement to have homed so many hens, keep up the great work." "Congratulations BHWT; we are proud to be associated and wish you well for the next 10 years!" "How wonderful to think of all those lovely chickens that were given a new lease of life by BHWT. Well done. May there be many more!"